On the 18th (Thu), contemplate the long history of Cascades Female Factory Historic Site, then appreciate the extensive heritage of Battery Point Sculpture Trail, and then take a leisurely stroll along Constitution Dock. Keep things going the next day: identify plant and animal life at Bonorong Wildlife Sanctuary, then examine the collection at Museum of Old and New Art, then learn about winemaking at Moorilla Estate Winery, and finally take your sightseeing to a higher altitude at Mount Wellington. To see photos, traveler tips, where to stay, and other tourist information, use the Hobart day trip planner. Melbourne to Hobart is an approximately 4-hour flight. You can also do a combination of ferry and car; or do a combination of ferry and bus. In April in Hobart, expect temperatures between 21°C during the day and 9°C at night. 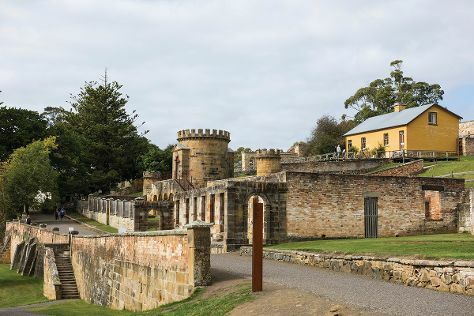 Finish your sightseeing early on the 20th (Sat) so you can drive to Port Arthur. Take a break from the city and head to Maria Island National Park and Tessellated Pavement. 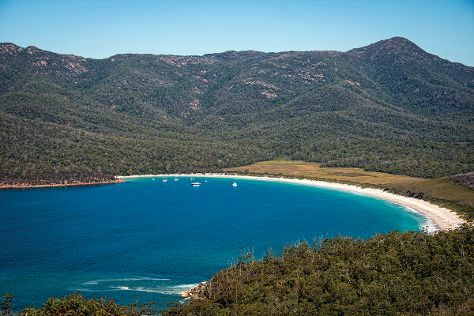 Step out of Port Arthur to go to Eaglehawk Neck and see Fortescue Bay, which is approximately 34 minutes away. For where to stay, other places to visit, traveler tips, and other tourist information, go to the Port Arthur trip planning tool . Traveling by car from Hobart to Port Arthur takes 1.5 hours. Alternatively, you can take a bus. In April, daily temperatures in Port Arthur can reach 21°C, while at night they dip to 9°C. Finish your sightseeing early on the 23rd (Tue) so you can drive to Coles Bay. Visiting Wineglass Bay Lookout and East Coast Natureworld will get you outdoors. Spend the 24th (Wed) exploring nature at Freycinet National Park. Next up on the itinerary: take a memorable tour with Tours, experience rural life at Freycinet Marine Farm, and identify plant and animal life at Wildlife Areas. To see other places to visit, reviews, and more tourist information, go to the Coles Bay trip itinerary maker site . You can drive from Port Arthur to Coles Bay in 3.5 hours. Alternatively, you can take a bus. 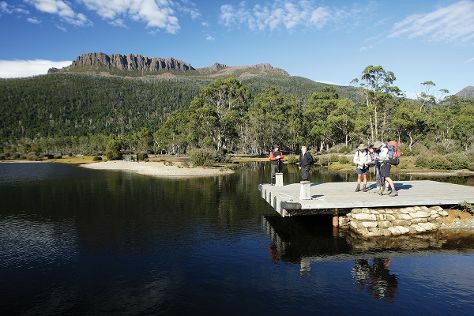 Wrap up your sightseeing on the 25th (Thu) to allow time to drive to Cradle Mountain-Lake St. Clair National Park. 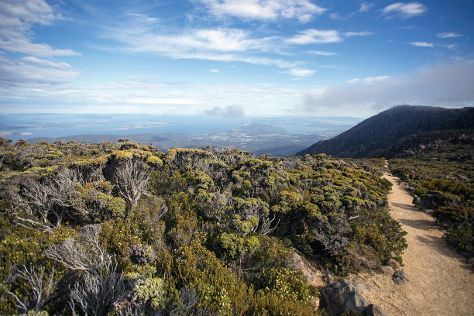 Kick off your visit on the 26th (Fri): hike along The Overland Track. Here are some ideas for day two: see the interesting displays at Morrisons Huon Pine Sawmill, admire the sheer force of Hogarth Falls, and then contemplate the waterfront views at Lake St. Clair. To see other places to visit, where to stay, traveler tips, and more tourist information, go to the Cradle Mountain-Lake St. Clair National Park tour itinerary planner . Drive from Coles Bay to Cradle Mountain-Lake St. Clair National Park in 5 hours. Alternatively, you can do a combination of taxi, bus, and car; or do a combination of bus and car. Wrap up your sightseeing by early afternoon on the 28th (Sun) to allow time for the car ride to Devonport. Looking out across the Bass Strait towards Melbourne, Devonport stands out against a backdrop of rolling hills, pastures, and coastal bluffs. To see more things to do, traveler tips, reviews, and tourist information, read Devonport road trip planner. You can drive from Cradle Mountain-Lake St. Clair National Park to Devonport in 3 hours. Alternatively, you can do a combination of car and bus. In April, daily temperatures in Devonport can reach 20°C, while at night they dip to 7°C. Finish your sightseeing early on the 28th (Sun) so you can travel back home.